Featuring boutique hotel-style concierge services, premier resident events and over 7,000 square feet of cutting-edge social, active and stimulating amenities, Eleven10 creates a premium living experience. Newport Beach, CA – April 27, 2018 –The Picerne Group in collaboration with Rockwood Capital and The Muller company are excited to open Eleven10 Apartment Homes, a 260-unit luxurious multifamily community featuring studio, 1-bedroom and 2-bedroom residences. The 2.76-acre community located in the heart of Orange, CA features several incredible amenities, including an expansive resort-style pool surrounded by an extensive outdoor courtyard, 24-hour fitness center and outdoor athletic terrace and impressive club room with luxurious social spaces. Expansive resort-style, heated pool surrounded by an extensive outdoor courtyard, complete with a serene spa, poolside cabanas, BBQ’s, fire pits and game areas. Impressive club room with luxurious social spaces, relaxing lounge, billiards table, HDTVs, complimentary Wi-Fi and 24-hour gourmet coffee bar. 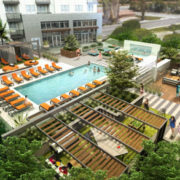 Spacious 24-hour fitness center and outdoor athletic terrace with state-of-the-art weight training and cardio equipment. Executive conference room for resident meetings and events. Business lounge with onsite printing and complimentary technology workstations. Pet friendly amenities, including pet spa and dog park. HUB by Amazon parcel locker system. Resident bike storage and repair station. 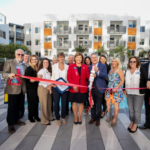 In addition to its premium amenities, Eleven10 will feature boutique concierge services, monthly resident events and offer special partnerships with local entertainment, including the Anaheim Ducks and Los Angeles Angels. Signature TPG finishes in select residences, including high ceilings, kitchen islands, wet island, glass upper cabinets, tech workspaces, wine refrigerators and custom entry-way casework. Open-concept gourmet kitchens with quartz countertops, stainless steel appliances, decorative lighting and gas ranges. Spacious bedrooms that accommodate king-size beds with plush carpeting. Blackout shades for a peaceful night’s sleep. Luxury bathrooms with custom-framed mirrors and oversized soaking tubs. Private balconies and walk-in closets in most residences. 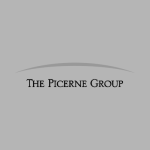 Founded in 1988 by Kenneth Picerne, The Picerne Group focuses on distressed debt investment, apartment acquisition, land acquisition, entitlement and apartment development. For more information, please visit www.picernegroup.com.